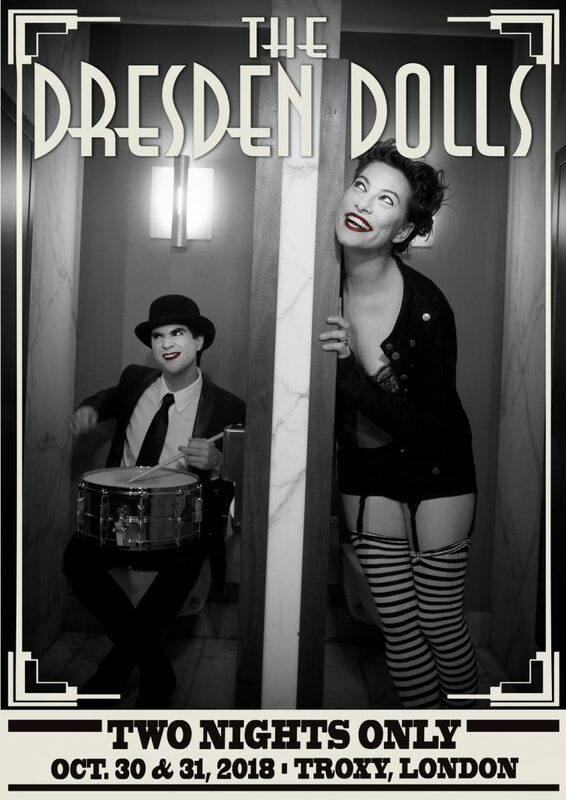 THE DRESDEN DOLLS ARE RETURNING to LONDON on HALLOWEEN FOR *TWO SHOWS ONLY* at Troxy​, october 30th & 31st. these are our first shows in the UK/Europe in TWELVE YEARS and these are the only shows we’re doing – no other UK/Euro dates are being added. there are 3,000 spaces per night and tickets will vanish. tickets go on sale to the public on MONDAY, MAY 21st, pre-sale starts on THURSDAY, MAY 17th.